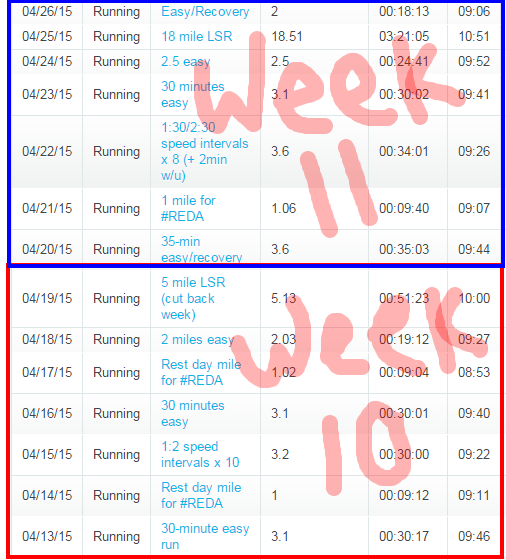 Marathon Training – Recap of Weeks 10 and 11 | (m)EAT LESS, RUN MORE! I had to split my 18 mile long run into 2 runs because of my stupid stomach issues (IBS), so I ended up doing 13.5 outside on the trail, and then 5 more at home on the treadmill. I had to stop 4 times while out on the trail (Yep, I pooped in the woods. When you gotta go, you gotta go!). This is the reason I rarely sign up for races, and quite frankly I’m terrified of having the same thing happen on marathon day. So for the rest of my training I’m going to really focus on the foods I’m eating and what’s causing the problems. I’m going to try eliminating gluten because I think that might be at least 1 of the culprits. We’ll see. Ugh. Yes, definitely pay attention to not only what you’re eating, but when you’re eating it, as well as how much. Also, does coffee not trigger your IBS symptoms? Because if I drink more than just a cup before I run in the morning, or if I drink too much coffee in the afternoon prior to running, I can have stomach issues. That could be something for you to consider, since I know how much you love coffee! I really don’t think it’s the coffee. The last couple of (non-virtual) races I did (a half and a 10-miler) I didn’t have this problem. The 1 time I did have an issue at a race (the RnR Philly Half) it was minutes after I slugged down what I thought was water but turned out to be Cytomax (similar to Gatorade). Besides eliminating gluten, I’m going to try not eating any beans for at least 24 hours before-hand. I hope you can figure this out. Cutting out beans the day before would probably be wise. Hi Sheila! Yes, actually I have been bitten (several times) by ticks. I’ve never been tested for lymes, but I don’t eat anything with dye. 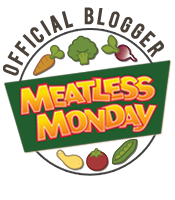 I very rarely eat anything processed, and you already know I don’t eat any animal products at all. I’ll ask my doctor about testing for lymes. Better safe than sorry, right? !